The Zaliv Shipbuilding yard (Russian: Судостроительный завод «Залив», Ukrainian: Суднобудівний завод «Залив») is located in Kerch, Crimea and specializes in the construction of tankers and container carriers, and the repair of ships of different types and tonnage. 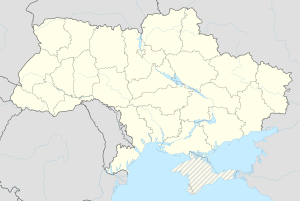 Ukraine ShipyardsThere are three shipyards located in Mykolaiv: Black Sea Shipyard, Okean Shipyard, and Mykolayiv. The shipyard was also known as Kamysh-Burun Zavod, and Soviet Shipyard No. 532 named after Butoma Boris Evstaf'evich. The joint stock company Zalyv Shipyard was founded in 1938. It is situated on the shore of the Kerch Strait, between two seas, the Black Sea and the Sea of Azov. From 1945 to 1980 the yard built about 600 ships, including sea trawlers, small torpedo boats, fishing boats and barges. Since the 1960s it builds tankers. The shipyard is 350 acres (0.55 sq mi) main drydock large 60+ m, wide 365 m, more than 10 20 m hollow, two tall gantry cranes each can hold 200 within 500 ton and vessel ton up to 150000 ton or more . Type "Krym" Project 1511 tanker was built 1974-1980, created in 1973 by "Baltsudnoproekt"
Tankers, Oceanographic, Coast Guard MVD and other ents vessels, further types of vessels. Project 23560 Leader class Destroyer / ASW / Missile Cruiser and Lavina class LHD LHA planned, Yard under restoration of capabilities, building smaller (initially) and different types of vessels included civilian either non combatant. Many of the metal hardware beams barges and else of the Kerch (Strait) Bridge. The Krivak class frigate Hetman Sahaydachniy is the current flagship of the Ukrainian navy. ^ a b "Список аффилированных лиц". E-disclosure.ru. Retrieved 15 July 2017. Castle Holdings, LLC Website - a ship repair company whose main activities are dock and voyage repairs of cargo vessels, conversion and shipbuilding works.